What do you get when you take an international team of 27 scientists and students and drop them on a barge on Siberia’s Kolyma River for nearly a month? Very compelling blog posts, for one thing. And for the participants, an unforgettable research odyssey, a good portion of which is spent in the company of the indefatigable and charismatic Russian scientist, Sergei Zimov. And more generally, the NSF-funded Polaris Project, now in its final week at the Northeast Science Station. Polaris director, Max Holmes (WHOI), writes in a July 12 blog post, “The Polaris Project is interested in the transport and transformation of carbon and nutrients as they flow with water from uplands to the Arctic Ocean.” During the intensive three-and-a-half week field course, now in its third year, undergraduate and graduate students from the United States and Russia break into research groups to focus on one aspect of the Arctic System: the boreal forest, permafrost, wetlands, lakes, streams, rivers, invertebrate animals, or satellite observations. Students engage in hands-on research and develop individual research projects under the guidance of Polaris’ Principal Investigators and Postdoctoral Fellows. Researchers encourage students to explore connections between systems. During the course the group is based at the Northeast Science Station in Cherskiy, Siberia, built and operated by Sergei Zimov. The station has two labs and three houses and a year-round staff of six (including Zimov's wife and son). 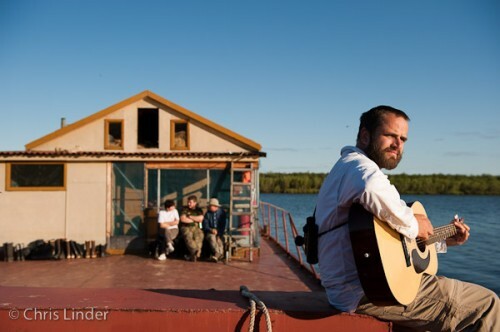 Polaris Project participants live on a barge on the Kolyma River. Not only does the barge provide a unique dorm, it also serves as a mobile lab – the team can tow the barge to various locations on the river for different studies. Polaris’ American contingent left from Dulles airport on 2 July. They spent the 4th staving off jet lag by exploring downtown Moscow – Red Square, St. Basil’s Cathedral, the Spiritual Center of Russia. Next, they travelled to Yakutsk where the group was treated to a tour of a permafrost station/museum. After travelling four days and sixteen time zones, the Polaris Project team made it to Cherskiy on July 6. During their first week at the Northeast Science Station, instructors familiarized students with arctic systems through a series of evening lectures. Meanwhile, students were busy choosing projects, getting to know team mates, and exploring Cherskiy. These days, the group is knees deep in water, bogs, and bugs and enjoying every minute of it. 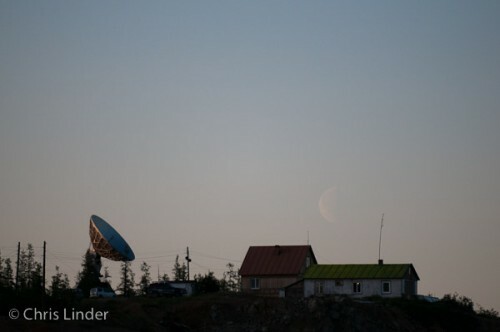 A note on the photos in this post: Chris Linder, professional photographer, Woods Hole Oceanographic Institution research associate, and Polaris team member, accompanied students and teachers on the 2009 field course in Russia, taking most of the photos shown here. More of his work is found in the Polaris Web site’s 2009 photo gallery. For more, visit Linder’s page on the WHOI Web site or his work on the NSF-funded IPY project, Live from the Poles. Linder’s professional site is also an eyeful.